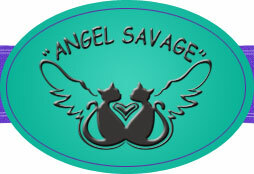 "Angel Savage" cattery is located on the south of the city of Tula (190 km from Moscow to the south) in the former village of Kosaya Gora - a small, green park area. To reach it is very simple, it is just 20 minutes away by shuttle bus №33 and №34 from the bus station of the city center. Bus stop around the corner from the right house - it takes less than three minutes to get to the door. By my car will even faster: M2 highway bypassing the city to us can be reached within 10 minutes. All issues related to the kittens and their transfer to the new owners, can be discussed over the phone 8-910-940-01-83, or better yet write an email tula@mkoon.ru - you are almost always guaranteed prompt and detailed response as well as any advice on care.